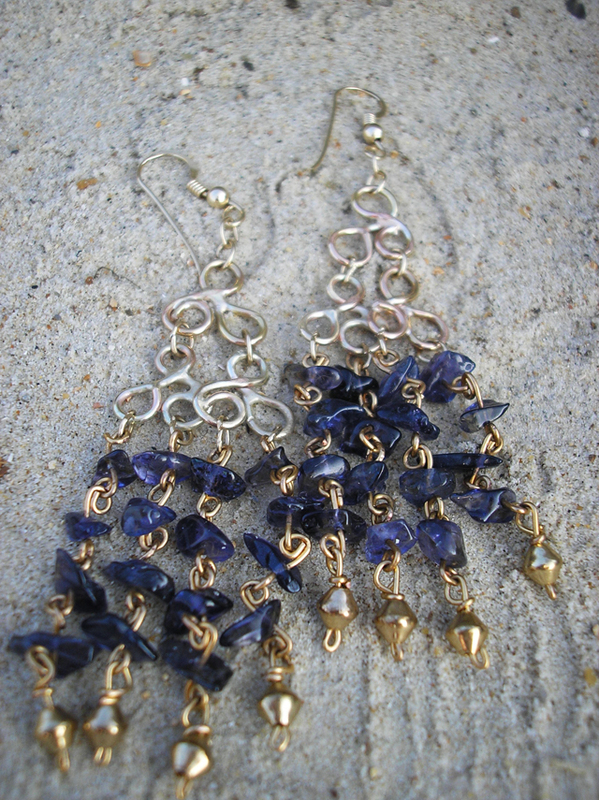 9ct yellow gold and iolite earrings. Iolite is one of the most beautiful stones, they are stunning. It is the gem variety of the mineral cordierite. It has a delicate and quite pretty violet blue color that is unlike other gemstones. Though sometimes it has been compared to a light blue sapphire. It is this reason that it is also known as “water sapphire”. Although the color is attractive and popular, iolite is not extremely rare and is therefore affordable. These earrings look really amazing. I have a pair all of my own, one of the perks of being a designer!. You can check them on my online shop. Agreed AOL is unquestionably within the improper column.